The Post 9/11 GI Bill was created to provide education benefits for individuals who were on active duty for at least 90 days following on September 11, 2001, or later. Qualifying individuals can use this bill to obtain funding for higher education, allowing them to enter a new field and/or advance an existing career. To use the Post 9/11 GI Bill to finance your education, follow the steps below. 1. Find out whether you qualify. You must have been on active duty on or after September 11, 2001. Your qualifying active duty must also have lasted for at least 90 days, or you must have served at least 30 days before receiving a medical honorable discharge. If you meet these requirements and don’t want to claim the benefits for yourself, you may be able to transfer them to a qualifying dependent, such as a child or spouse. 2. Know how much you will receive. The amount of benefits you will qualify to receive depends on how long you spent on active duty. The longer you spent on active duty, the more benefits you will receive. Exceptions are made for individuals who were on active duty for a shorter period of time but received an honorable discharge because of a service-related injury. 3. Know which expenses are covered. Up to 100 percent of your tuition and associated fees. The cost of housing while in school. The cost of relocation when no suitable educational institutions are available nearby. Up to $1,000 per year for books and other educational supplies. 4. Find an appropriate school. The benefits available under the Post 9/11 GI Bill can be used at a variety of institutions, including both public and private schools. Although most people receiving benefits under this bill choose to attend more affordable programs, even some of the more expensive private schools have become accessible to benefit recipients because the Yellow Ribbon Program, which requires these more expensive schools to waive some of their fees. Before applying for admission to any school, be sure to verify that the benefits you receive under the Post 9/11 GI Bill can be used to cover the cost of programs at the institution of your choice. It is also important to verify that the maximum amount of benefits you can receive will be enough to cover the total cost of your education. If your benefits won’t be sufficient, make sure you have a plan to pay the remainder of these costs on your own. 5. Find an appropriate educational program. With so many options available to qualifying veterans, it is possible for almost anyone to find an educational plan that meets his or her needs. Even people who have already completed one or more educational programs can find an option that will allow them to advance their careers after leaving the military. 6. Consider a career in the automotive industry. The automotive industry is currently in need of more workers, especially in the area of finance and insurance. The automotive industry as a whole has grown significantly in recent years, and this growth is expected to continue. Thousands of dealerships are open all across the United States, and these dealerships sell millions of cars every year. Within this industry are a variety of careers, but positions in car dealerships’ finance and insurance departments are particularly beneficial for people who have left the military and are looking for a career change. Individuals working in these positions spend their days helping customers to find the financing and insurance coverage they need to help them purchase the car they want and protect the asset in the event of an accident. Auto dealerships rely on these individuals to make money in the form of interest, thus increasing the dealership’s profits. 7. Apply for benefits under the Post 9/11 GI Bill. 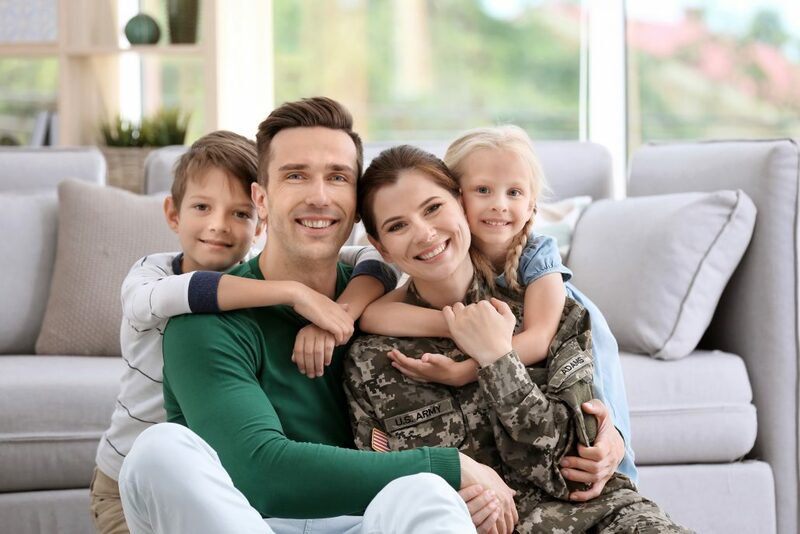 Once you have determined whether you qualify for benefits, found a school and chosen a program, it is time to apply for benefits under the Post 9/11 GI Bill. You can apply for these benefits by submitting the required information online or by visiting a local VA office to complete the application with professional assistance. Alternatively, you can call the U.S. Department of Veterans Affairs and request a paper application to be sent in the mail. 8. Consider enrolling in the F&I program at ADI. If you have decided to work toward a career in the automotive industry, you will most likely need professional training. If you have decided to pursue a career in finance and insurance, you can find the training and education you need from the Automotive Dealership Institute, or ADI. Not only can we provide you with all of the skills and knowledge you need, but we also make it easy to complete the enrollment and training process. ADI is the only government-approved, licensed finance and insurance school in the United States. It is also the only finance and insurance school that can accept benefits awarded under the Post 9/11 GI Bill. Not only can you pay for all of your school expenses with this bill, but ADI will even help you complete all of the necessary paper work to be sure that you get the financial assistance you need. Once you have applied for benefits under the Post 9/11 GI Bill and received an approval, you can get started on your F&I program immediately. The program requires 160 hours of study that take place over a period of four weeks. All classes are scheduled during the work week so students can have free time on weekends. Once the program is complete, ADI will assist the graduate in finding a job. We offer job placement services all across the nation. We have a placement rate of more than 90 percent within the first three months after program completion. Our graduates enjoy an average income of more than $140,000. If you are a veteran who qualifies for educational assistance under the Post 9/11 GI Bill and you are interested in using these benefits to complete the finance and insurance program at ADI, please contact our institution today to get started. We will be happy to answer any questions you may have about the program and/or help you begin the Post 9/11 GI Bill application process. Use the form below to request information about our F&I program and take the next step toward a lucrative career in automotive finance.